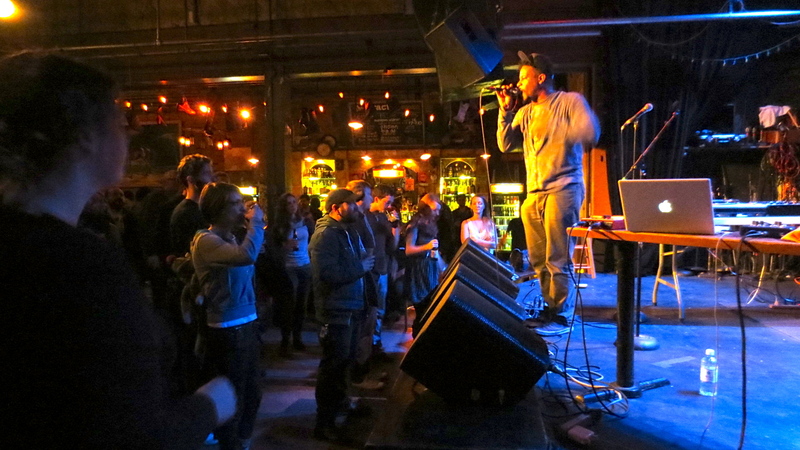 Open Mike Eagle wants to sing to you and show you how he rocks. Last Friday I trekked up to Seattle to see my pal Open Mike Eagle at the Tractor Tavern. It is a long drive, I admit, but it was completely worth it; it was one of the best sets I’d ever seen Mike do. It was also fun because a bunch of my Seattle peoples also came out and saw the show, like Three Ninjas, Tangentbot, Rabbiddogg, & Creepy Sheep. Mike even shouted me out from the stage a couple of times, which was pretty neat-o! He also did a rap song I’d never heard before that actually quotes John Linnell’s (of They Might Be Giants) song “Idaho” from his State Songs solo album. That’s pretty obscure! 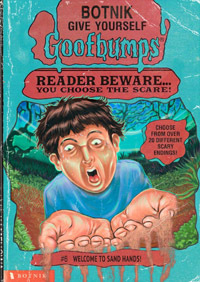 As soon as he started singing the lyrics, Rabbiddogg & I immediately recognized them and looked at each other in amazement. Afterwards when we were talking to Mike he was pretty impressed that we knew it as well! Thanks, crappy cell phone camera! Man, I really need to get a new phone. If anybody wants to get me the Google Nexus 4 for Christmas I would NOT complain. 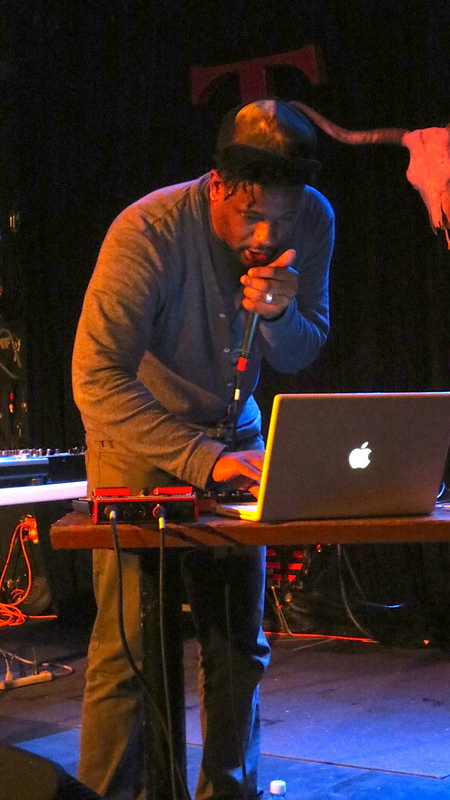 Tags: Animated GIFs, Open Mike Eagle, Tractor Tavern.